I've been playing around with the 90° shifter concept a little more and I found a reliable and very compact shifter concept with an output perpendicular to the shifter movement. The latter is convenient for gear boxes that use the new rotary catch, for instance this one. Here are some cut-aways that show the inner workings. The concept relies on two ratchets at the top, a 90 degree limiter around the output and two 8t gears in the shifter. While in default (straight up) position, the upper ratchets confine the upper two teeth of the upper 8t gear. When you move the shifter, one ratchet will block the upper 8t gear and force a shift. When you move the shifter back, the ratchet will slip and the 90 degree limiter will prevent the output from rotating back. 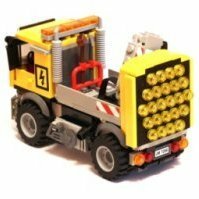 A nice convenience is that the yellow transversal axle could be rotated 45 degrees without changing the position of the teeth of the attached 8t gear. That way the yellow axle could be directly attached to a 90 degree limiter and used as transversal output. Instructions on Rebrickable. How does it possible, that the lower 8t gear does not stuck with the grey 3L output axle? Am I miscalculating something? Good question! 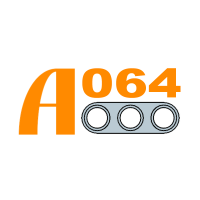 Axles have rounded ends and are slightly shorter than the specified length. Also the #2 connector in the 90 degree limiter is slightly shorter than 3L. If the limiter would be braced firmly at both ends, there would still be no noticeable friction. 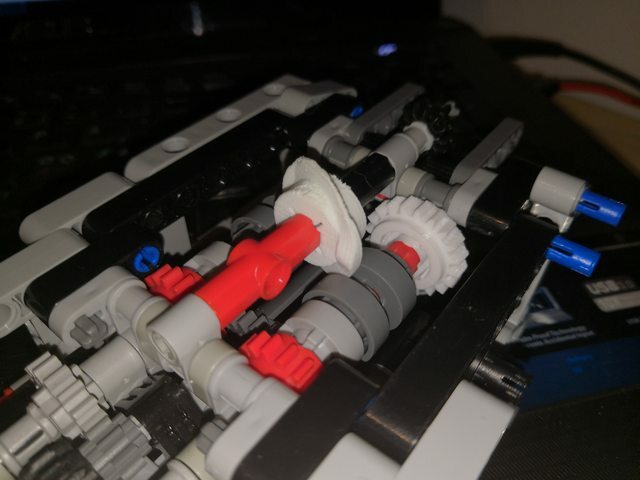 I actually started with a 3L axle with stop (with the stop at the gear side) and implemented a limiter that was moved backwards by half a stud, but that was simply not needed. @Didumos69 I've just built it as much as I could figure out from the renders. The concept is ingenious. I still need to find the placement of the inner rubber band(s) though. This should help and there is also the Stud.io file, but that one doesn't show the placement of the rubber bands. I have a challenge for you, @Didumos69. Its to this the video below. 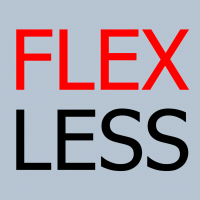 You may have to stop the input axle when shifting gear, because you dont have a clutch. Why not make an auto clutch? A shifter step is 90 degress. 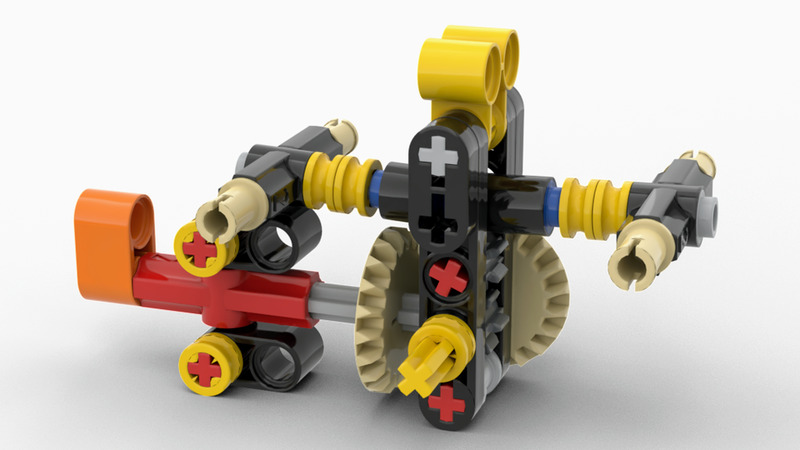 A gear ratio of 4:1 would spin an axle a complete rotation each step. Hook up a shifter ring to that axle and you'll have an auto clutch in between each gear. Got it, built it. Love it. Great idea, thanks. Thanks! Good to know it worked out fine. I suppose you mean the new orange rotary catch. In fact, a gearbox operated by a rotary catch already has a very short moment of no-gear-engaged during shifts. What you are suggesting is not a clutch, but an auxiliary gear box that is used to engage / disengage the actual gearbox. The problem with engaging / disengaging driving rings at speed, is that when torque rises above a certain level, driving rings don't easily disengage. 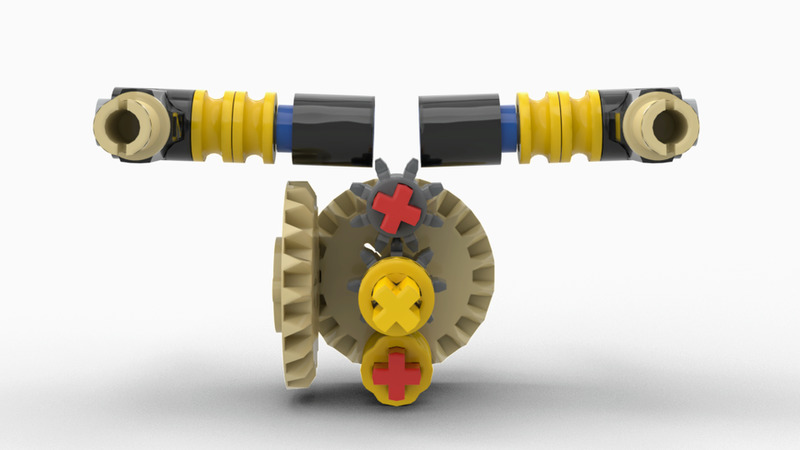 Your idea would suffer from the same problem, while the geared up rotary catch will be operated with very low torque. Nevertheless, having some kind of clutch that can be used to easily engage / disengage a gearbox during shifts would be very useful. @Didumos69 Yes. I would place the disenganger between gearbox and motor. Im in the making of your gearbox and will try to make a extra disenganger, but its slow. I dont had the rotary catch and the 20t clutch, so had to draw and print it. Last 20t gear is about to finish now. Yes, they are very smooth. The gear design are a little different, because I can. Only one side has the hole for the dark grey slider. And it works. I still have some doubts if this actually adds something, because the rotary catch in the gearbox also shortly disengages all gears in the gearbox. Bu if you want to mimic an automatic clutch, then this is a cool concept. In the mean time I dropped the black box idea (not my cup of tea) and made a new video which shows the inner workings much better. I also updated the Stud.io file and made instructions, which can be found on Rebrickable. If you build it, be sure to align the 20t bevel gears exactly as shown in the photo sequence. I want say that it is really fantastic thing. You are master! This looks great. I am going to have to build the shifter to see if it works on my new gearbox. I am also working on a different 90° stepper at the moment but it is not reliable yet. With some hints from @Attika, I was able to upgrade this into a very reliable motorized shifter, which makes very 'beefy' 90 degree turns. Stud.io file can be found here. Instructions available on Rebrickable. I had a problem with the shifter when I built it. It works well in one direction but keeps catching and getting stuck in the other direction. I made a modification to the ratchet mechanism which seems to hugely improve it. Will post a pic later. @Pvdb The problem sounds strange, but I'm very curious about your improvement. No idea why it kept catching, but I played around with it quite a bit. Ignore the rough and ready construction below, but it shows the modification. The tension should be provided in a slightly more refined manner as well! but this was good enough in experimentation. Sorry I am a little late to the party, but this may be just what I need for my Sports Car. All the other changeovers were too large, or did not have a great integration with bodywork. I may try to add this in tonight and see how it works. Thanks again for another nifty little idea for this community to use. No﻿ idea why it kept catching, but I played around with it quite a bit. Ignore﻿ the rough﻿ and ready construction below, but it shows the modification. The tension should be provided in a slightly more ﻿refined manner as well! but this was good enough﻿ in experimentation. Thanks, good to know this works for you. I'm still puzzled that the original setup doesn't work for you. Sorry﻿ I am a little late to the party, but this may be just what I need for my Sports Car. All the other changeovers were too large, or did not have a great integration with bodywork. I may try to add this in tonight and see how it works. If you want to use it, my advise would be to first follow the instructions by the letter and get it to work and than start tweaking it to your build. It all comes very precise, especially the height of the supports that prevent the ratchets from sinking too deep. Also the rubber band tension is an important factor. If you want to use it, my advise would be to first follow the instructions by the letter and get it to work and than start tweaking it to your build. It all comes very precise, especially the height of the supports that prevent the ratchets from sinking too deep. Also the rubber band tension is an important factor﻿. I think you have answered the question here. 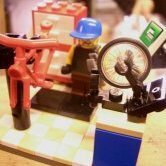 I think that even running the band between the support and the ratchet lever can give that important level of precision needed for your version. I was a bit lazy with the band placement when I built it!! With my mod, it doesn't seem to require so much precision, and surprisingly while it does require tension, its not as much as I expected. You can just throw it together in a fairly loose experimental assembly without any tweaking and it works. With﻿﻿﻿ my mod, it doesn't seem to require so much﻿ precision﻿, and surprisingly while it does require tension, its not as much as I expected. You can just﻿ throw ﻿﻿it together in a fairly loose experimental﻿ assembly﻿ without any tweaking and it works. I'm happy the issue you had is clarified. I will try your ratchets soon. Thanks @Didumos69, I built the changeover, and it will take a little modification to make it work for my application. It is not as robust as the bigger shifter, but I think it will work. 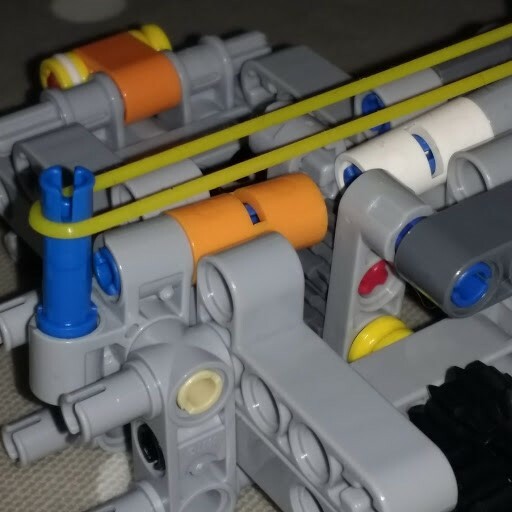 I think﻿ that even running the band between the support and the ratchet lever can give that important level of precision needed for your version. I was a bit lazy with the band placement when﻿ I built it!! 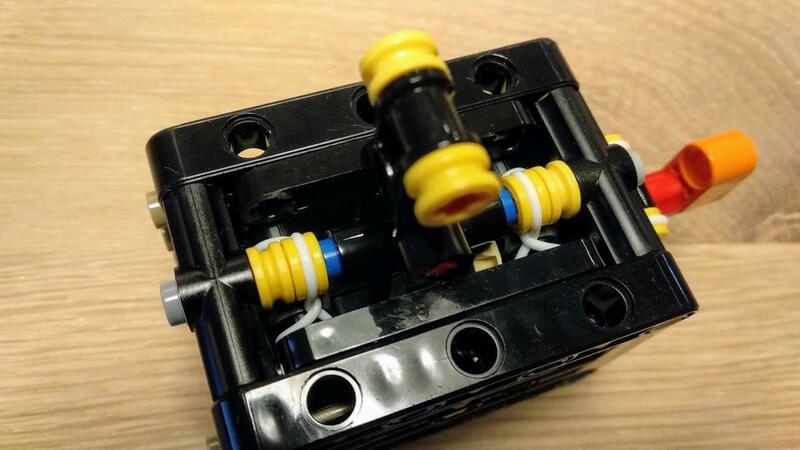 The modifications / hints from @Attika for the motorized version - different rubber band layout and a naked axle in the top of the lever - make for a very reliable shift. The rubber band is a bit tighter and no longer between the ratchet and it's support, and the naked axle ensures a slightly more complete shift. These modifications will make the manual version more robust too. After a lot of testing I believe that the design of the rachets that you proposed does work better than the solution I put forward with regard to the fact that your version requires far less tension on the rubber bands, and is thus far more reliable under load. I sorted out the blocking issue by swapping out one of the pins. It must have been very very slightly bent as with the new pin every thing works fine. This is a great modification of the larger knob wheel sequencer. Thanks @Pvdb for coming back with your further experience. I'm glad this has been sorted out now. I'm gonna have to try this one as well, I'm working on an RC 1:10 car with full interior inside, and this might just be small enough to be able to get a gearbox in without interfering with the interior space. 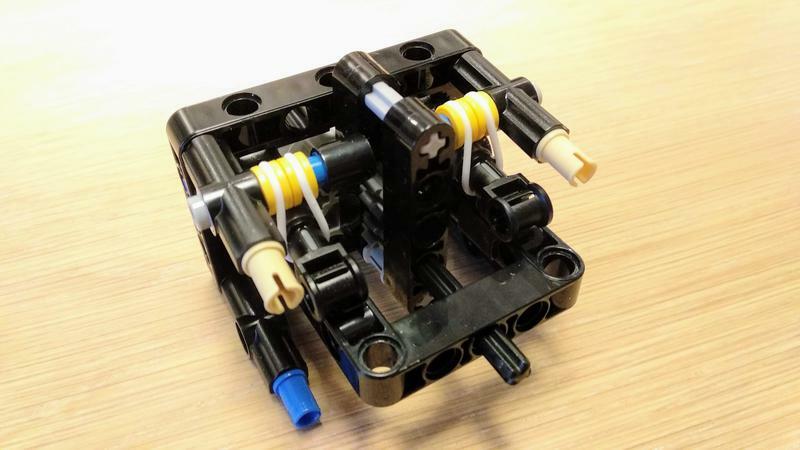 As mentioned by others @Didumos69: yet another fine addition to all the gearbox/shifter/stepper concepts you have been sharing with us over the past months (years?). Thanx a lot! !